Prepare For Winter Driving with These Tips! Whether you're looking for used cars in Glendale this winter or not, the experts at Auto Action knows what it takes for you to stay safe when driving on hazardous roads this winter. Home / Blog / Prepare For Winter Driving with These Tips! Whether you live in Glendale or Phoenix, cold weather certainly can bring about some unexpected surprises! Not only can it bring down your mood, but it can also do some damage to your vehicle, especially when dealing with a dramatic temperature drop. Like most people, once a vehicle is set in its ways being used to a higher temperature and then suddenly that temperature drops, things tend to go awry. 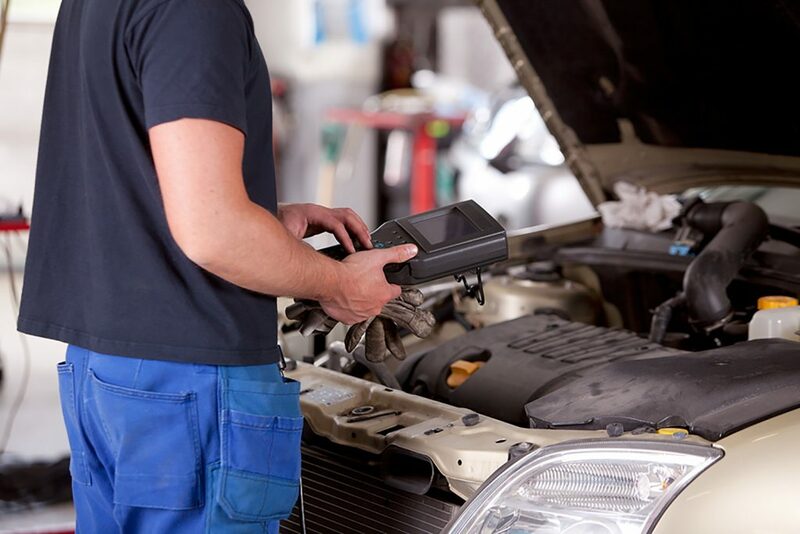 Luckily, it really doesn’t take much to make sure your vehicle, or any used cars in Glendale that you may be thinking or purchasing, is in tip top shape! Although a simple vehicle check could suffice, make sure you follow through with the cold weather preparation tips below just to be sure. When was the last time you checked on your battery? Auto Action experts have found that sometimes, especially involving older used cars in Glendale, even if the dashboard low battery light isn’t on your battery could still be at risk. No wonder, as that hot Arizona summer takes the life out of most things! Avoid any unnecessary future frustrations and take a quick peek to see what’s going on under your hood. In addition, if you haven’t flushed your cooling system and refilled on anti-freeze in a while, there’s no better time than now! We mention this in a lot of our blogs, such as our “Your Back-to-School Roadtrip Checklist” post. Why? Because it’s so important! A lot of people don’t realize how much of a safety hazard beat-up wiper blades are until it’s too late and you’re stuck in an unsafe zone on the side of the road during a storm. Don’t let that happen to you! Have a friend dump some water on your windshield while you test them out. If they leave streak marks, head over to your location vehicle accessory store to pick up a new pair. If you’re thinking about heading north this winter through an area known for inclement weather, it might be best to look into some all-terrain or snow tires. These types of tires are not only the best and safest tires to have when dealing with snow and ice, but also if you travel on mountain or dirt roads. Don’t let the “snow” tire label fool you! These tires can be used year-round. This is a given, and anyone who’s looking into purchasing used cars in Glendale should already know this. Always keep an extra car jack and tools for changing a tire in the trunk on your car. Trust us, one day you’ll be glad you did. And if not for you, for someone else. As always, make a note that whenever you purchase used cars in Glendale from Auto Action, you can take your vehicle in at any time for an inspection. Take advantage of this, especially with the cold weather coming and stop by your local Auto Action AZ location today! If you have any questions about other winter driving preparation tips or want to know more about what great programs and promotions that Auto Action is currently offering, fill out the form to your right or give us a call at (602) 262-5424.